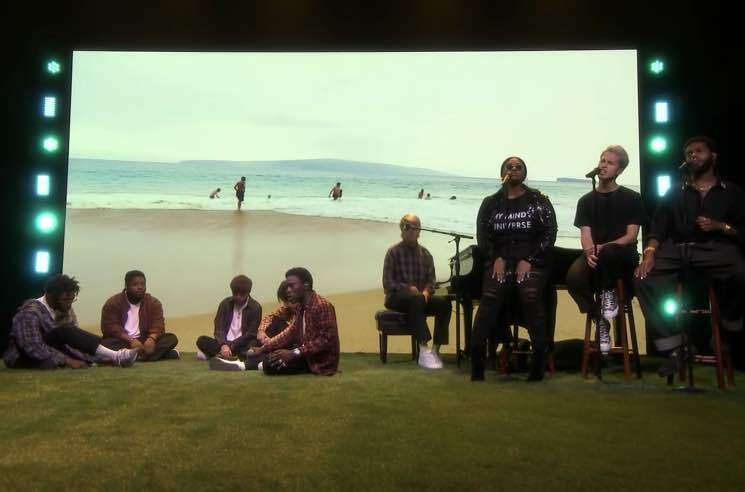 Hip-hop boyband Brockhampton made their first public appearance since booting out Ameer Vann due to sexual misconduct allegations last night (June 20) on The Tonight Show Starring Jimmy Fallon, and they didn't waste the opportunity. The group revealed the title and artwork for their upcoming album, which is now called the best years of our lives. They had previously teased an LP titled Puppy, but delayed its release following the allegations against Vann. In addition to the announcement, Brockhampton also performed a brand new track from the upcoming album. Joined by Jazmine Sullivan, serpentwithfeet and Ryan Beatty, Kevin Abstract and co. debuted "Tonya." Watch the performance on Fallon below following the band's upcoming tour dates. As you'll see, Brockhampton have several dates scheduled for here in Canada. New album the best years of our lives will arrive via Question Everything/RCA Records. As of yet, however, it is without a firm release date.